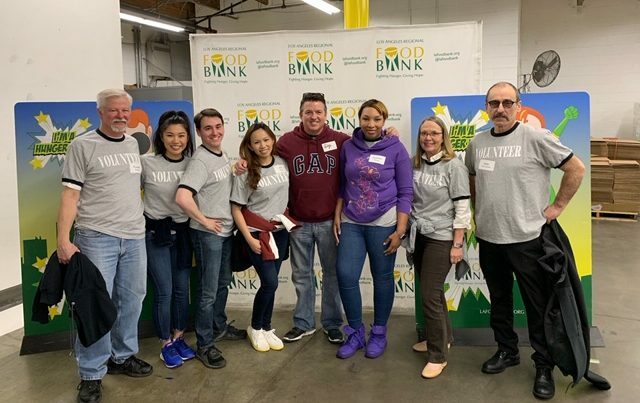 The numbers are in for Belmont Village Westwood’s 2019 Los Angeles Regional Food Bank Volunteer Day and Food Drive! For the community’s fourth annual event supporting the food bank, residents and staff gathered together to raise more than $1,220 in donations that will provide 4,880 meals. The food drive raised 807 pounds of food items that will provide 627 meals for Los Angeles area children, seniors and families in need. 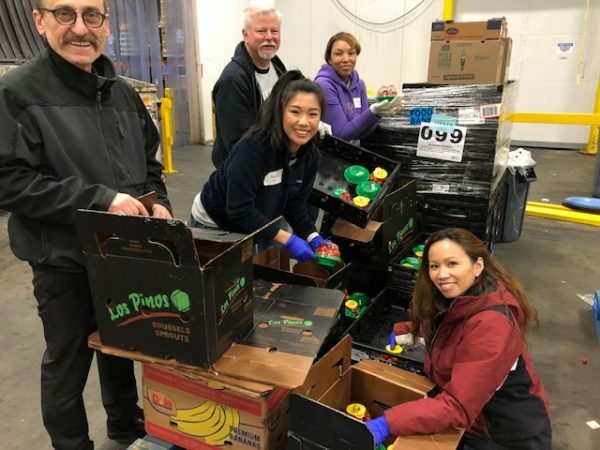 Team Westwood also spent a day at the food bank’s distribution center, where they worked in the freezer sorting meats and fresh produce. They boxed up 15,927 pounds of food items that will provide for 18,099 meals! In total, Belmont Village Westwood’s staff and residents have provided 23,651 meals this year for the Los Angeles Regional Food Bank. To learn more about the food bank, click here.